Kit includes boosted amplifier module so signal can be amplified and processed by factory radio unit. 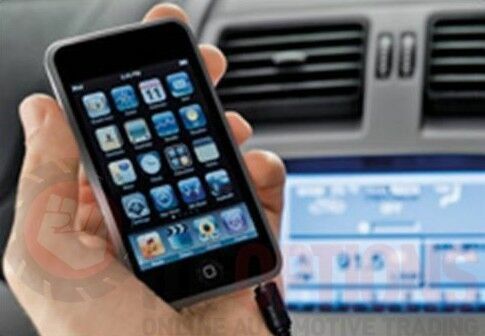 Once kit is fitted the AUX will show and correctly function. FALCON BA-BF AUDIO BOOSTER INPUT KIT. Great product and is a must when connecting a phone to the factory ICC for playing music. This product is a bit more expensive because it is a "booster". If you buy the basic unit without the "booster" the audio signal will not be strong enough from your phone to the ICC. You can hear it when the vehicle is not running but when you start it up and start to drive, the engine and road noise will drown it out. Basically your Ford ICC requires a strong signal to create a decent sound that can be heard clearly over engine and road noise. 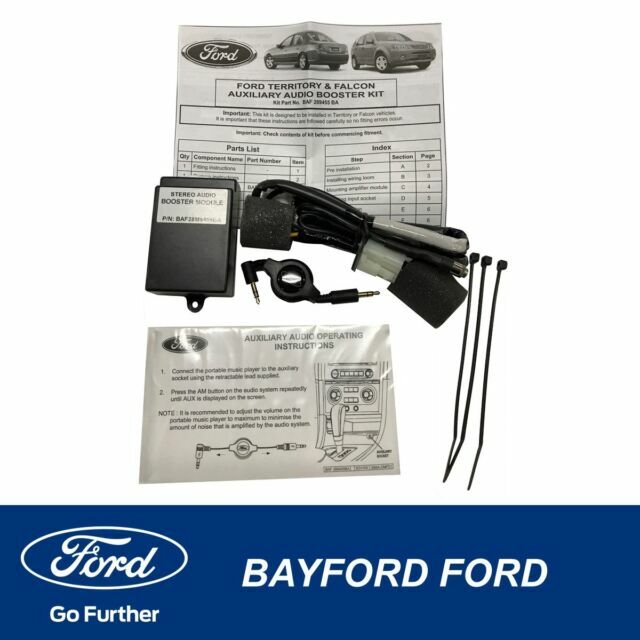 This is the third genuine Ford kit I have installed over the years, it works perfectly and it is worth the extra cost. I have just installed this input kit to a 2003 Fairmont Ghia with premium sound, background hum is almost bearable, then I turned on the engine - sounds like a dentists drill is being amplified through the speakers, increasing in frequency with engine revs. Also worrying continuous popping sound from the rear subwoofer. Easy to install once you have found the plugs, sounds good with factory speakers. Great Product. Can now listen to ALL my music in the car!